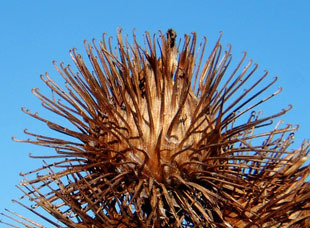 Burweed, Louse-bur, Common Burdock, and Button-bur. 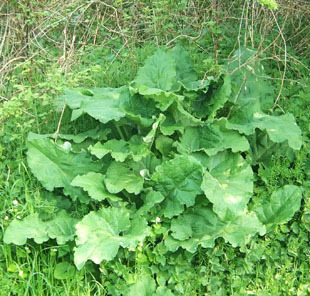 herb, growing up to 2m. 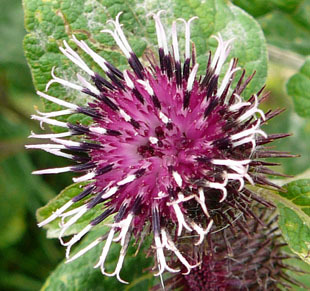 Flower-heads are up to 2.5cm across. 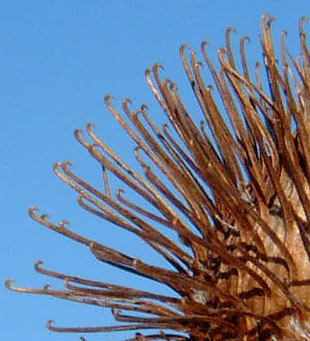 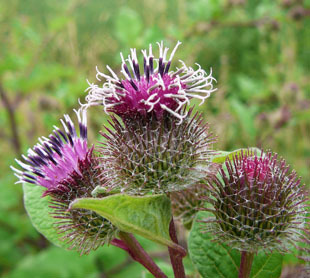 The florets are longer than the upper bracts (cf Greater Burdock). 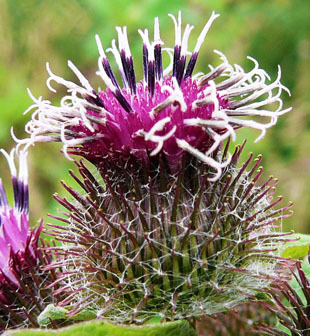 The bracts are green or purple. 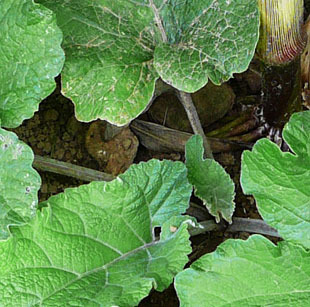 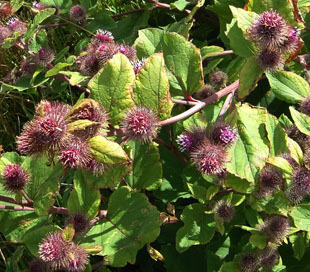 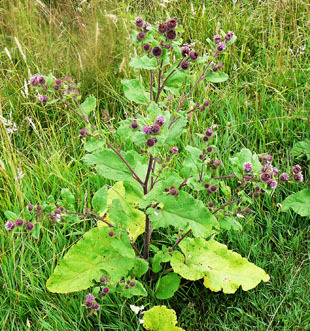 Lesser Burdock is more common than Greater Burdock.